Bravery or Bravado: Which trait better describes the concealed handgun license carrier? With 25 years of experience as a professional in the security and law enforcement community, James B. Towle is familiar with negative stereotypes that are sometimes associated with law abiding gun owners and shooting sports enthusiasts. Chief among those stereotypes is the belief that some individuals licensed to carry concealed handguns tend to exhibit a sense of bravado associated with their firearm, which can lead to trouble down the line. This attitude, Towle believes, is based in myth rather than in fact. Towle credits CHL instructors with the ability to identify potentially over-zealous individuals who may display a sense of bravado within the classroom. “CHL training classes are comprehensive and hands-on. When enrolled, it is your responsibility to prove to the instructor you are mentally and physically prepared to legally conceal a handgun in public,” Towle says. Towle adds that instructors are well qualified and quick to recognize characteristics that will lead to endangering others, ultimately revoking the privilege to carry a gun. It is the instructor’s duty to assess these individuals carefully before endorsing their abilities to be licensed. The most recent data provided by the U.S. Government Accountability Office indicates that more than 8 million Americans hold a concealed carry permit. But according to the Crime Prevention Research Center, that number is likely much higher, with as much as 4.8 percent of the total U.S. population licensed to carry a concealed handgun. Concealed handgun licenses are issued only after candidates pass the state exam and can prove to their instructors that they can shoot accurately after a considerable amount of time training with the gun in hand, Towle explains. A sense of bravado, if it occurs at all, Towle believes, may come after the individual first obtains his or her CHL. Having followed rigorous training and application procedures, it’s not unusual, he says, for individuals to experience a certain level of excitement when their card first arrives in the mail, and they can finally wear their gun legally in public. It’s incumbent upon new CHL holders to reign in that excitement, Towleadds, and for then to recognize the tremendous accompanying responsibility. They must realize that obtaining a concealed handgun license is far, far different than obtaining a driver’s license. Founder of American Trigger Sports Network, James B. Towle hosts Stop The Threat, a program featuring a round table of expert guest panelists who analyze dramatic reenactments of life-threatening, real-life crime scenes. Stop The Threat airs Wednesday night on The Hunt Channel at 8:00PM central time (Dish Network 266) and Friday night on Pursuit Channel at 8:00 p.m., central time (DirecTV Channel 604/Dish network 393). 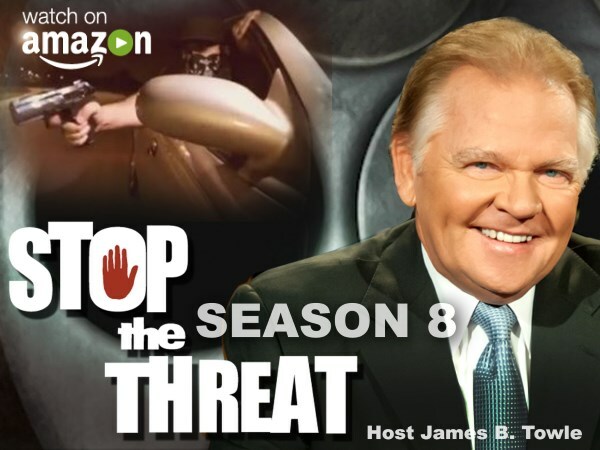 For more information on Stop The Threat or James B. Towle, please visit www.stopthethreat.tv. CHL: License to carry or license to kill?